Tried all of the above, same same same. I guess it's just because of the overcrowdedness of the server because I tried Europe 3 (which was as busy as Europe 2 in Berlin) and it worked fine. I'm just gonna live with the fact that Europe 2 is a singleplayer server for me XD. TC I guess? None of these worked. Same behavior for each one of the solutions @Frosty. not so far.. I'll update with every new solution anyway. Tried it, same result. Sometimes it works like 5 seconds from the first time, sometimes not even. I login, no warnings or anything like that, connected - ghost mode - all good.. then I do any basic thing (like using quick travel to my garage this time - which was 5m away from me and I knew it would fail) and bam. Everyone's just stuck with their wheels rolling and in the middle of the road. I tried restarting my router, doesn't do anything. Got the google dns, didn't help. I tried opening the specific ports and all were closed, idk how to fix this - might help? Tried a step further into the thread, the firewall one, nothing happened. Also, in that thread, OP has shown a notification on ETS2MP that he has a weak connection and the game is attempting to reconnect - I get none of that. It looks alright, no errors or anything, but when I meet a driver it's over. 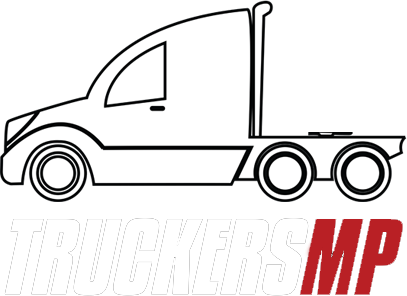 Hello guys, I've been playing TruckersMP for a little while I'd say and here's my issue. When I log in to Europe 2 (that's the most common I've logged in for the past weeks, I think this is happening on all servers for me) and wait through the queue blabla, connected, etc., the game goes fine then at some point where I pass any random driver my on-line connection, I guess, stops. I can still play normally and do all the sh** I want to get done, but I can't see any players. The truck(s) I've passed by stopped and when I press Tab it looks like I'm the only one going further away from them. My ms is ~50 and I've seen worse on Tab so I wonder what could be the cause..